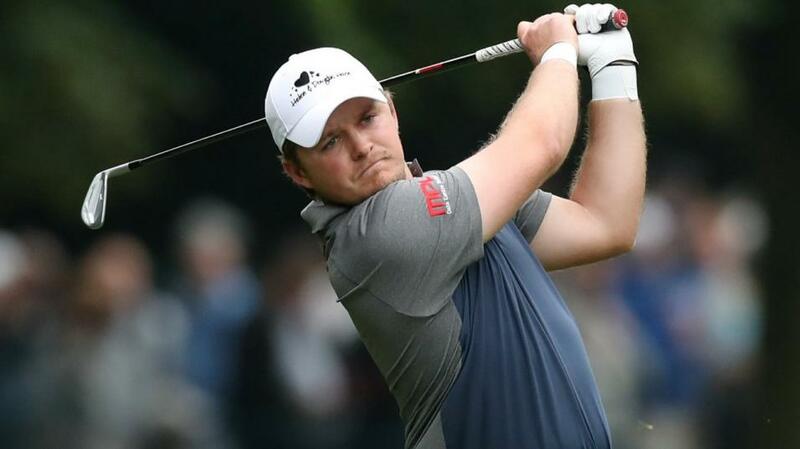 "Englishman Eddie Pepperell, a winner in Qatar during February, has also posted a brace of top-five finishes over this week’s course." The European Tour has arrived on the outskirts of Prague, for this week's D+D Real Czech Masters at Albatross Golf Resort. Many of those teeing-up have flown more than one thousand miles from Gothenburg, Sweden, to compete in the Czech Republic. Opened in 2010, Albatross has staged the Czech Masters for the past four years. It is a well-manicured parkland course which sits around 400 feet above sea level and is located about 15 miles south-west of Prague city centre. It has large undulating putting surfaces, while water is more prevalent on the back nine, than on the front. This week's event is the penultimate tournament regarding the qualification process for selecting the European team at next month's Ryder Cup in France. And two of those taking part, Thomas Pieters and Eddie Pepperell, will hope that a late burst of good form might catch the eye of European skipper Thomas Bjorn. Pepperell still has an outside chance of automatic selection for the team, while Pieters will hope that a strong end to qualifying could earn him a wildcard, following his excellent Ryder Cup debut on American soil two years ago. Pieters, a former winner at Albatross, followed his victory in 2015 by finishing runner-up when defending the title 12 months later. Following a slow start to the year, the Belgian's form has picked up over the past couple of months, and in his most recent outing at the PGA Championship in Missouri was a respectable tied-sixth. Pepperell, meanwhile, has played well in patches during 2018 and enjoyed lucrative back-to-back weeks on the links of Scotland last month. The Englishman, a winner in Qatar during February, has also posted a brace of top-five finishes over this week's course. Gaganjeet Bhullar, winner in Fiji earlier this month, is chasing a sixth successive top-12 finish. Meanwhile, defending champion Haydn Porteous tied-for-sixth in Sweden on Sunday, a result which ended a run of 15 straight events without a top-25 finish. And veteran European Tour players Lee Westwood and Soren Kjeldsen will hope that a mediocre field will assist them in their bid to end their winless droughts which both stretch back to the spring of 2015.